We are one of the leading suppliers in the South West for Timber Products, we import and stock large quantities of Hardwood and Softwood from all over the world including Oak, Ash, Sapele, Douglas Fir, etc. 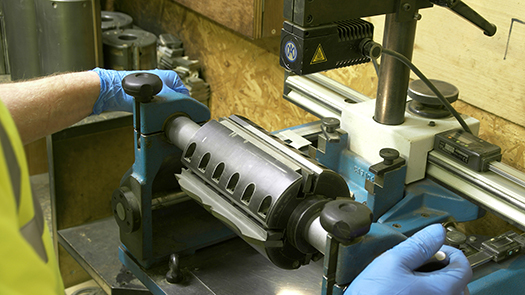 We can machine accurately (to within a 0.05mm tolerance) to your cutting lists, providing a high quality finish up to a maximum width of 260mm, using our six cutter moulders. 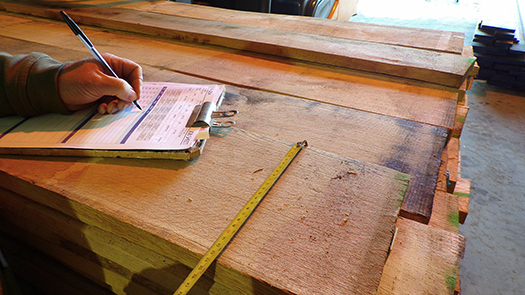 By providing us with your finished sizes in the form of a cutting list we can save you time and money. You can obtain a fixed price and therefore any material waste is down to us. In addition we can crosscut to length if required. Any machined jobs will have to be slotted into our schedule, which is normally about two weeks. 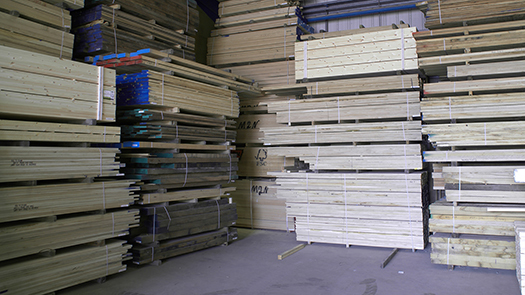 We can pick timber to make your cutting list for you to machine yourself. We have a vast amount of different species with random widths and lengths. If you provide us with your finished sizes, we can select the best sizes possible with minimal waste. These sizes can vary slightly dependent upon the species and not all species are available in all sizes. This usually only takes a couple of days. Planing is a common service we offer to all our customers, we are equipped with modern six cutter moulders to enable us to obtain a high quality smooth finish. 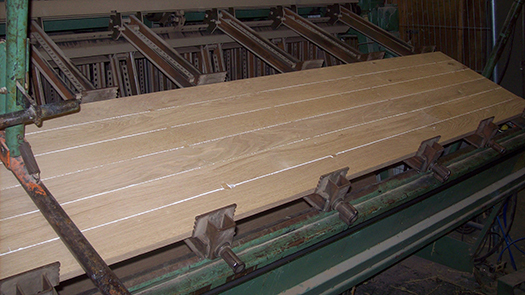 We can take around 5mm off the thickness and up to 10mm off the width depending on straightness of board. This service is available on all species. 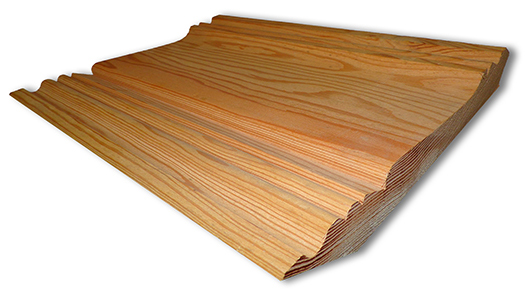 Skirting / Architrave: Ogee, Ovolo, Torus, Bullnose, Bevelled, Chamfered, etc. Tongue & Groove: Cladding, Overlap, Loglap, Open Joint, V Joint, Bead, Scalloped, Feather Edge, Tapered, Secret Fix, etc. Common Moulds: Dado Rails, Picture Rails, Panel Moulds, Cover Moulds, Beadings, Window Cills, Thresholds, Door Linings, Door Stops, Cornice, Hand Rails, Base Rails, etc. 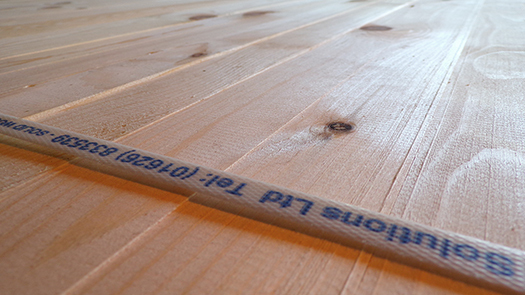 Our workshop is capable of gluing together (under high pressure) accurately planed timber. We have a fully equipped lamination department managed by experienced staff. We use an advanced laminating press that can produce solid worktops, edge bonded panels and other laminated products made to order and sanded to a high quality finish.Our maximum boards we can sand are (1070mm Wide) x (70mm Thick). We have a vast amount of Hardwood & Softwood stock and using the most trial and tested glues, we have produced a variety of worktops / panels in many different species. Our onsite tool room enables us to use advanced technology accurately grind our own cutters and produce complicated tooling. We use a CAD driven template making machine which can be used to accurately copy a previous mould exactly or create a new one which then be used to create cutters which then can used in our machine to replicate the existing moulding in whatever species of wood you require. Our goods are quality checked and carefully packed to make sure the goods are in good condition before they leave our premises. 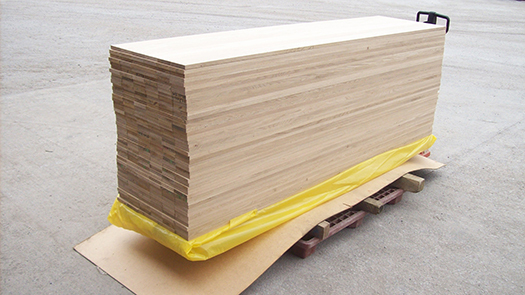 We are equipped with 7.5 tonne lorry, which is more than adequate to transport large quanties of timber. We also have a smaller cabstar van for very tight and narrow deliveries made in akward areas. We can offer a delivery service throughout the South West, please phone for a quote for delivery. Deliveries are normally made Tues - Thur.